It’s already Holy Week here in the Philippines and many Filipino families are already gearing up for the days ahead. As I previously wrote in one of my articles for Philstar.com, it is my hope that people will not only take time to rest during Holy Week but also make it more meaningful. In our family, this means participating in the Easter Triduum as much as our having young kids will allow, and doing our best to practice prayer, fasting and almsgiving. 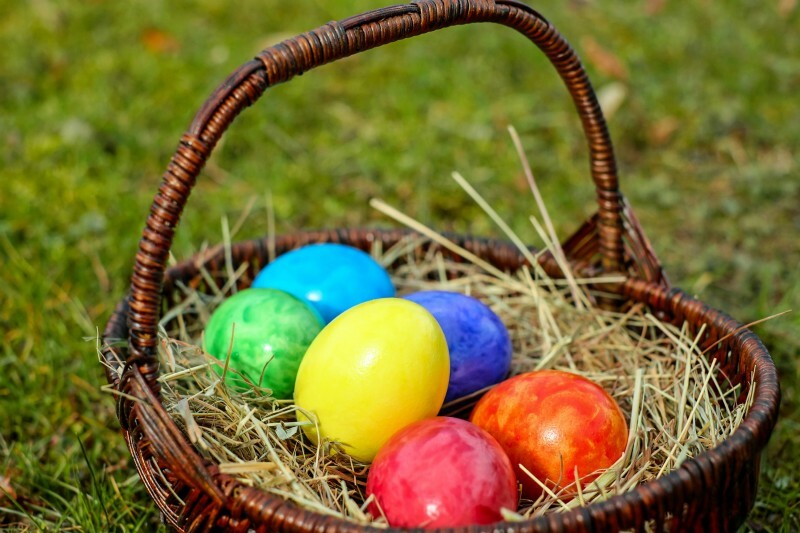 It also means preparing to celebrate Easter which, for us, includes having our annual “Easter Treasure Hunt,” our own #LiturgicalLiving family tradition — an alternative to the usual “Easter Egg Hunts” found in malls and other places. The “Easter Treasure Hunt” is where our children search for the Easter gifts we have gotten them, and is one of our favorite Easter activities. This is kind of obvious and really easy but you can take it one step further and add more meaning to the gift by explaining the Christian symbolism of Easter eggs to your kids (before or after they have received them). You can use this guide on Catholic Culture to help you. Books are wonderful tools in helping teach children about many different topics, including our faith. I actually raided the used bookstore nearest our place (Booksale Shopwise Cubao) very recently, and found a few Easter-themed books for our kids. If you can’t find specific Easter books, you can also get books that depict the life of Jesus or other faith-themed books. Some stores that you can check out include National Bookstore, Fully Booked or TheLearningBasket.com. One of my go-to places for “religious” gifts for our kids is our local St. Paul’s bookstore. They usually sell children’s books and other items that you can easily use as Easter gifts. Leading up to Easter, they usually sell plastic eggs with rosaries inside them. These make for perfect Easter treasures! Lollipops: For one of our Easter Treasure Hunts, I taped two lollipops together into the form of a cross. When the kids found their lollipops, I asked them what shape they were in, which led to a short discussion about how Jesus died on the cross and rose again for us. Pencils or pens: You can do something similar with pencils or pens, i.e. create a cross with them. Small packets of sweets: You can write Easter-themed phrases like “O how sweet our Savior is!” and “Alleluia, Jesus is Risen!” on small pieces of paper then stick them onto the sweet packets. Now, please don’t get us wrong — you don’t really need to give kids Easter gifts to show them the beauty of Easter. If you can, then great! But if you can’t, remember that the most important gift has already been given and received by all of us, i.e. the gift of Jesus, our Risen Lord and Savior. His Resurrection is the greatest Easter gift we could ever receive!